We may loathe them but there is no denying that squats are what keeps our behinds looking pert. This fitness staple works the hips, glutes, quads and hamstrings and Slendertone has recognised this and taken it that one step (or squat) further. Introducing Slendertone Bottom, an accessory to be worn during your workout that promises to maximise results. Slendertone Bottom helps to tone and shape the core, stabilising muscles which can aid in reducing the incidence and reoccurrence of injury to the lower back and knee joints, a common complaint of squatters. A 30 minute session with Slendertone Bottom is just as effective as doing 60 bottom toning leg lifts! Which has been proven to be the best exercise to tone, tighten and reshape your derriere. If you’re not familiar with Slendertone, it uses Electronic Muscle Stimulation (EMS) technology which activates the body’s natural muscle movements and contracts them simultaneously as happens with normal exercise. By stimulating the nerves supplying each muscle group it helps to tone and strengthen them giving a firmer and more uplifted bottom from just 4 weeks in. It is shorts season after all! 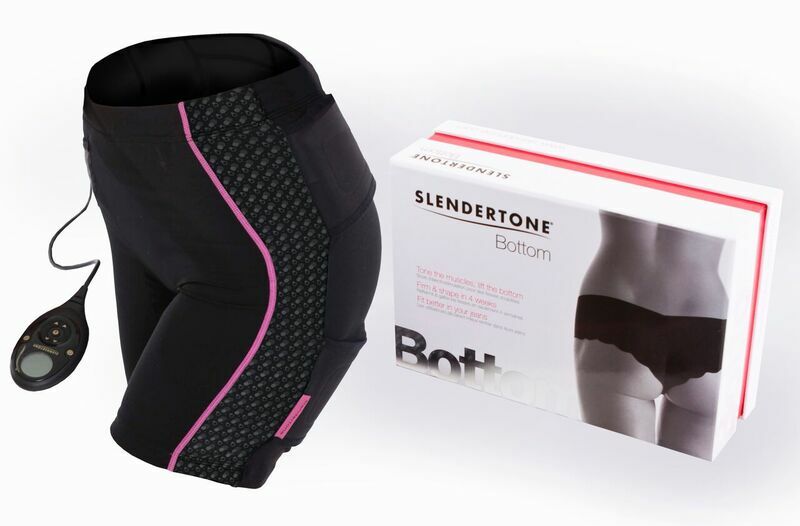 Slendertone bottom is available for AED 1,200 in Sun & Sand Sports, GoSports, Basharacare.com and Beauty Solutions website.